On its own, opting for a pricing method to follow your business strategy is equally difficult and important task. After all, it’s part art, part science. 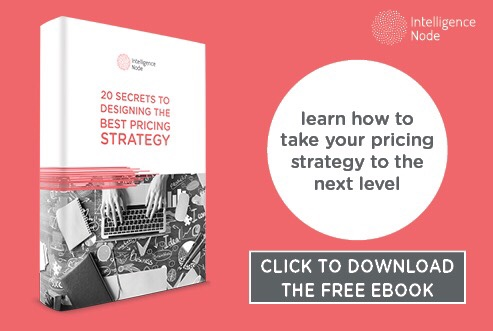 Deciding on the amount you want to charge your customers for your products is a huge step to setting your pricing strategy in the long run. 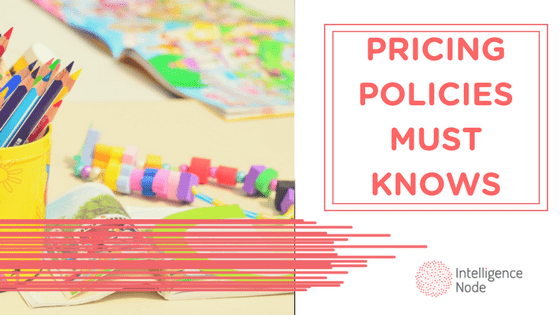 There is no sure-fire way to determine the best pricing strategy for each business but there are some pricing methods and guidelines, which we hope to present with this post, that will ultimately help you make an informed decision because we’re like that, we like to help. Here we go. Each group consists of several pricing methods which we’ll present further down. This is where the cost acts as a basis for determining the price of the final product. The main advantage of these methods is that the prices cover all the costs and directly add to profit. On the other hand, the don’t take into consideration market factors like competition, demand and consumers’ perceived value. In what is probably the simplest pricing method, a company adds a markup percentage to the overall production costs and thus forms the price. The markup is the profit percentage calculated on total cost. For instance, if the cost of the product is $10 and the company expects a 10 percent profit, then the selling price will be $11. Hence, the company will set the price at $12.5 and earn a profit of $2.5 per product. This concludes the overview of cost-oriented pricing methods. Let’s move on to the second group. As the name cunningly suggests, the price using these methods is calculated on different market conditions. Market-oriented pricing presents a more accurate and effective market price representation and “speaks” directly to customers. However, it requires a much-desired market research in order to establish the market factors as guides to successful pricing. In this case, a business, more than anything, sets the price based on the customer’s perception of its offering. This pricing method accounts all the other elements of marketing mix (product, place, promotion) to influence the customers. As an example, a customer buys a more expensive product such as Apple’s iPhone despite having lower-priced smartphones available in the market. The reason for such decision lies in Apple alignment with perceived value pricing where the customer has no problem paying extra for better quality and durability or perhaps for the status symbol. The basic principle here is providing low priced products with high-quality levels. Even though the price is low, it is set accordingly to minimize the cost of production while preserving quality at the same time. A good example would be Tata Motors, whose Tata Nano was designed with only the necessary features at a low price while retaining quality. Discount pricing – the price is a little lower if the product lacks features that competitor’s product has. This pricing method is one of the more popular with homogeneous goods like steel, paper, fertilizer, etc. (products with less variations in features) as it provides a good chance for a business to get a fair return on their prices by charging the same prices as competition. Sealed-bid auctions – common for large orders or contracts, particularly in the industrial and government departments, where companies submit their bids in sealed envelopes in response to a tender, not disclosing the bid to anyone. Differential pricing is used in cases where companies charge different prices to a different group of customers for the same product or service. This pricing method depends on factors such as place, time and product form, thus varying in offering. An example would be a 0.33 can of Coca-Cola which has different prices in grocery stores, public stations, and especially hotel rooms with their super-pricy minibars. Pricing methods present a way to determine a price of your offering by accounting factors various like the costs, the product itself, competition, target audience, their perceived value, product’s life cycle and so on, having a great deal of impact on the pricing strategy as a whole. 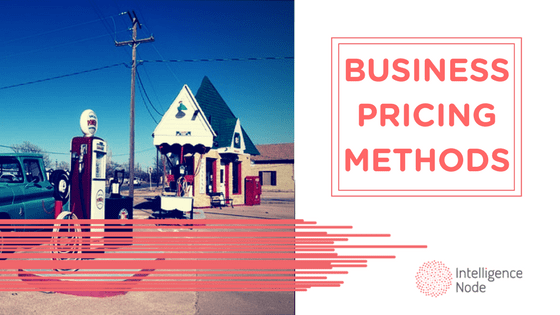 When it comes to pricing methods, a business has its pick of the litter. As evidenced, there is a variety of options for selecting a pricing method that best suits the needs of a thriving business. Hence, it can adopt any of mentioned pricing methods depending on the type of a product it sells and the end goal objective for which a business is determining the pricing.